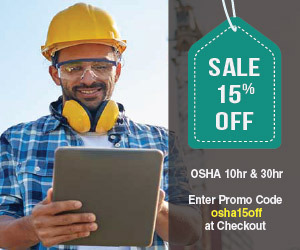 OSHA Safety Training offers accredited online workplace safety training provided by experienced professionals that adhere to OSHA regulations. Enroll in one of our Safety Training Courses today! This 10-hour construction safety course was developed by the US Department of Labor to provide construction workers and supervisors with an awareness of construction safety and health concerns in the construction industry. All attendees will become familiar with reading and using the OSHA Standards for Construction 29 CFR 1926. Students receive an updated review of standard construction safety and health principles, and information that prepares them to recognize and control a variety of hazardous conditions. Upon completing this course, an OSHA certification card will be issued. The 10-hour OSHA outreach training program for general industry provides training for workers and employers on the recognition, avoidance, abatement, and prevention of safety and health hazards in workplaces. Topics include: OSH Act and General Duty Clause; Inspections, Citations and Penalties; Walking/Working Surfaces; Personal Protective Equipment; Material Handling; Means of Egress; Hazard Communication and Confined spaces. The training course also provides students with an overview of how the Occupational Safety and Health Administration (OSHA) operates. Upon completion, an OSHA card of completion will be issued. The 30-hour outreach program was developed by OSHA in an effort to educate at-risk workers on the hazards while working on a jobsite. 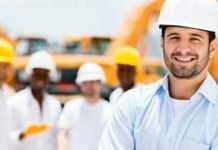 Construction professionals at every level will benefit from this comprehensive introductory course as they apply OSHA policies, standards, and procedures to construction safety and health. Recently, the OSHA 30-hour course has grown rapidly. Since the program’s inception in 1990, over 14,600 classes were held and 225,000 student cards were distributed. Upon successful completion of the course, attendees will receive an OSHA construction safety and health 30-hour course completion card as well as a certificate. The 30-hour OSHA outreach training program for general industry provides training for workers and employers on the recognition, avoidance, abatement, and prevention of safety and health hazards in workplaces. Specifically devised for safety directors, foremen, and field supervisors, the program provides complete information on OSHA compliance issues. Upon successful completion of the course, attendees will receive an OSHA construction safety and health 30-hour course completion card and a certificate. Coordinating efforts between multiple employers at the worksite. 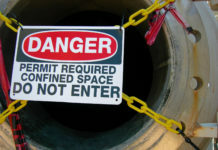 Requiring a competent person to evaluate the work site and identify confined spaces, including confined spaces. Allowing for suspending a permit rather than cancelling the permit in the event of changes from the entry conditions list on the permit or an unexpected event. Upon completion of the course, attendees will receive a card of completion from Amerisafe Consulting & Safety Services. Aerial lifts are extremely useful pieces of equipment and are commonly used in many industries. However, this equipment can be hazardous to both operators and employees working nearby unless proper precautions are taken by all employees while at work. This aerial lift safety training course focuses on teaching employees about aerial lift safety on the job. 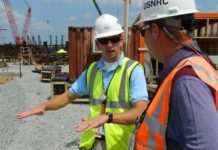 The training will focus on inspection and training requirements, job site hazards, and operating techniques. OSHA’s electrical standard covered in this course – 29 CFR 1910.300 – is designed to protect employees exposed to dangers such as electric shock, electrocution, fires, and explosions. This course addresses OSHA standards and focuses on how to avoid personal injury and death from electrical contact. In addition, the course shows how to avoid exposing co-workers to electrical contact, and how to identify safe work practices. This Electrical Safety training covers basic electrical concepts and definitions and provides a working knowledge of the safe practices in the regulation. The Fall Protection course is designed to train students in the best practice methods of identifying and eliminating both existing and predictable fall hazards. Students will also be provided with examples of the hierarchy of fall protection, which begins with eliminating hazards, and progresses through the application of passive systems, restraint systems, arrest systems, and administrative control systems. This class is intended for those who are assigned by their employer to take on the responsibilities of performing workplace assessments of fall hazards, selecting and assessing the compatibility of fall protection equipment, managing the jobsite fall protection program, and ensuring rescue procedures are in place and applicable to the given environment. This Fire Safety Training course provides an understanding of fire safety, including an understanding of the variety of elements that can come together to make a fire, including static and electrical discharges, friction, vapor pressure, chain reactions, and flash points. This course was developed using the OSHA regulation 29 CFR 1910.150 pertaining to fire safety and covers the proper use of firefighting equipment, proper storage of flammables and combustibles, and liquefied petroleum gases. Learn how to respond to common first aid emergencies, including burns; cuts; head, neck and back injuries. In CPR/AED, learn how to respond to cardiac and breathing emergencies in adults, including the use of automated external defibrillators (AED). All course options align with OSHA’s Best Practices for Workplace First Aid Training Programs and are available in classroom and blended learning formats. A digital certificate is issued upon successful course completion with anytime, anywhere access to certificate and training history. The course provides a complete health and safety solution for First Aid, Adult CPR and AED. The student will learn how to recognize the signs of a sudden cardiac arrest, when to activate the EMS system, and how to do CPR. It’s also important to become familiar with the AED and learn how to successfully operate it in an emergency. This training also teaches how to avoid potentially hazardous situations. The First Aid component of the course prepares the participants to deal with injuries seen more frequently. This part of the course teaches the lay person to recognize and react to situations such as low blood sugar, bleeding, broken bones and sprains, seizures, strokes, insect bites and stings, and temperature related injuries. Hand tools include everything from axes to wrenches. Their greatest hazards come from misuse and improper maintenance. Power tools are extremely hazardous when used improperly. Employees should be trained in the proper use of all tools and be able to recognize the hazards associated with different types of tools and required safety precautions. This course includes information on the hazards of hand tools and power tools, including electrical, pneumatic, hydraulic, liquid fuel, and powder-actuated power tools. Topics covered include general tool safety, maintenance, guards, best practices, and operating guidelines. Information about operations in their work area where hazardous chemicals are present. Information about location and availability of the written hazard communication. Information about the Global Harmonizing System (GHS) of Communication. Complies with OSHA 1910.120. This 8-hour course provides employees with the training necessary to respond to an incident at a First Responder Awareness level. All employees who may be the first to discover an incident involving the release of a hazardous substance will benefit from this program — to learn to Recognize Presence of Hazardous Substances; Understand Correct Methods for Securing Area, Notify Appropriate Emergency Response Agencies. HAZWOPER 24-hour is required for employees working with or around hazardous waste or visiting an uncontrolled hazardous waste operation mandated by the government. This course covers broad issues pertaining to the hazard recognition at work sites. 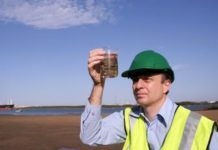 OSHA has developed the HAZWOPER program to protect the workers working at hazardous sites and devised extensive regulations to ensure their safety and health. This course, while identifying different types of hazards, also suggests possible precautions and protective measures to reduce or eliminate hazards at the work place. 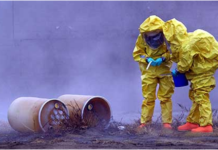 A certificate of completion will be issued upon completion of the 24-Hour HAZWOPER Course. 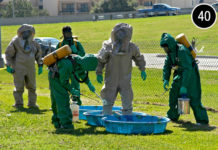 A certificate of completion will be issued upon completion of the 40-Hour HAZWOPER Course. The HAZWOPER Refresher course meets OSHA’s annual 8-hour refresher training requirement for Hazardous Waste Operations and Emergency Response (HAZWOPER), as specified in 29 CFR 1910.120. 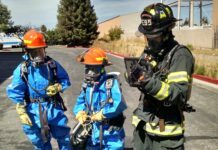 This HAZWOPER refresher training is designed to help students review basic occupational safety and health principles learned during their initial HAZWOPER 24-hour or HAZWOPER 40-hour certification training course. In addition, important HAZWOPER safety and health issues addressed by OSHA and other organizations will be examined. This course is based on the OSHA Control of Hazardous Energy (Lockout/Tagout) regulations as outlined in 29 CFR, Part 1910.147. OSHA requires that anyone who is involved in working around energy systems such as electrical, mechanical, hydraulic, pneumatic, and others receive Lockout/Tagout training. 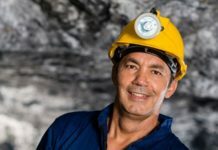 This course will help to satisfy the OSHA requirements for training as detailed in the OSHA regulation for those who are working in areas where Lockout programs are in place, or whose job requires them to actually do the Lockout and isolate the energy sources. The machine guarding course introduces you to the hazards created from machinery. This online course discusses how to identify hazards related to rotating machinery and how protect yourself against these hazards. 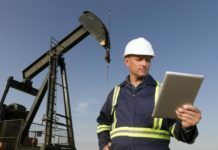 Also, this course discusses which devices and/or equipment are in place to aid in your overall safe operation of machinery. Material handling simply refers to the handling, storage and control of materials in a workplace. Manual handling involves using the hands to move goods. Mechanical handling refers to the use of machines to perform material-handling activities. 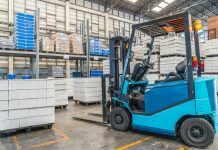 Accidents related to improper material handling practices increase employer workers’ compensation costs and may leave injured employees with lifelong complications. This course teaches users how to avoid accidents by examining unsafe and unhealthful conditions, recognizing potential hazards associated with the task, and avoiding personal injury from manually and mechanically moving material. This 4 -hour course has been created specifically to involve employees in the process of understanding the proper use of Personal Protective Equipment and to help facilities in fulfilling OSHA’s Personal Protective Equipment Standards training requirements. This 2-hour course shows how accidents can be significantly reduced by applying good general safety rules, and reviews what hazards are associated with the specific types of tools employees use. Some of the topics that are covered include: Matching the tool to the job; anticipating hazards; personal protective equipment; tool safety practices. This forklift safety course is designed for those individuals operating fork trucks, platform lift trucks, motorized hand trucks, and other specialized industrial trucks powered by electric motors or internal combustion engines. These vehicles are powerful pieces of machinery and OSHA requires each operator to be properly trained in their safe operation. This course has been developed from the OSHA standard for forklift safety, 29 CFR 1910.178. Upon completion, you will receive a forklift training certificate listing the OSHA standard covered. This course is based on the OSHA regulations as outlined in 29 CFR, Part 1910.134. Anyone who wears a respirator must be trained prior to wear. The course helps to satisfy OSHA requirements and provides information to help employees select the correct respirator, understand how to protect themselves, as well as clean and maintain the equipment. This 2-hour course shows that because they are so common, many employees take ladders and stairways for granted, and don’t take the appropriate precautions when using them. Some of the topics that are covered include: basic rules for ladder use; proper placement; ladder maintenance; tying off and blocking ladders; stairway construction requirements. The Walking and Working Surfaces course covers general requirements of keeping passageways, fixed stairs, and scaffolding clear of clutter. Issues discussed include stairway railings and guards, mobile work platforms, wall openings, and holes. Working surfaces training is important for identifying hazards on a job site. This online safety course is designed for construction workers. It is also useful for general industry workers. This course explains what to look for and why. In addition, this course addresses safety in stairwells, fixed stairs, mobile platforms, and other working surfaces. This 2-hour course reminds employees that there are indeed a number of hazards associated with welding, and provides the information that they need to work safely when involved with welding operations. Some of the topics that are covered include: types of hazards; personal protective equipment; fire safety; electrical hazards.